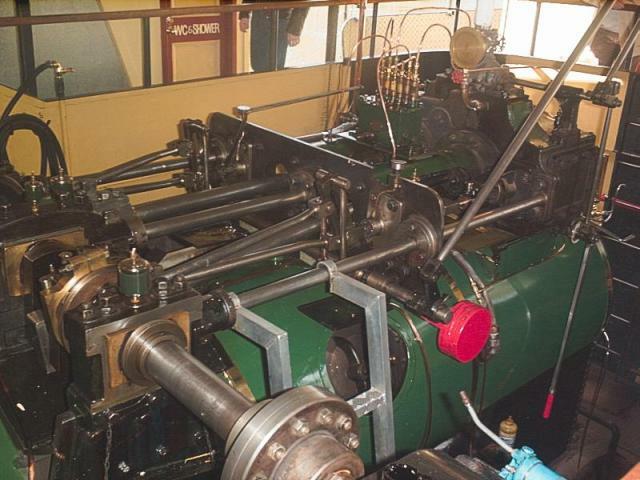 This is the steam-engine on the Emmylou paddle-steamer. It's supposed to be able to produce 100Hp. Note there are two rods which connect to each valve rod: One is used to drive the engine forward, the other to drive it backwards. The rectangular link can be moved up or down to select which way the engine runs.